During the repair of the apartment had to paint the panels, risers, water and sewage pipes. This work only seems easy. Actually painting work of pipes differ from each other. To paint the battery, prepare it. Try to thoroughly clean each radiator of the old paint. 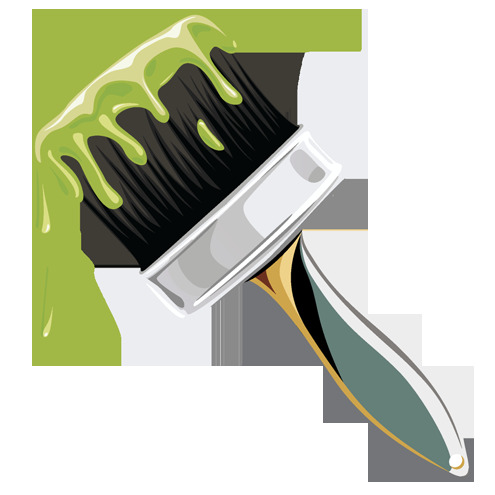 Take the spatula and applying some effort, scrape off the paint in places where it peels off. If the battery is very old, the paint will be cleared easily. Then take sandpaper and proscute the entire battery, especially where rust is evident. Then clean it from dust and degrease it, that is programsuite. Especially a lot of dust accumulates inside the radiator. To clean the battery inside, grab a brush width of 2 cm with a long handle, this brush is special - radiator. With its help you can easily clean the battery and remote areas. Once you have done this, remove all the dirt from the floor, so she did not stick to the brush during painting. Now pour oil paint into the cuvette and place it so that the paint, which will drip from the radiator was dropped into the dishes. Floors will stay clean and you don't have to RUB it with a rag to remove the paint. Battery start to paint from the inside. Take a brush for radiators with a long handle, dip it into the paint and procrastinate inside of each radiator, try to capture all the hard to reach places. Dilute the paint with thinner and then you can easily paint over all the back seats. Then paint the battery outside, it is a more pleasant experience. Start to paint the radiator top. Take the brush fleyts - it has a wider surface and takes paint much more. Dip it in paint and procrasinate section from top to bottom, leaving no gaps. Then proceed to the next section and so on until the end of the battery. After it dries, paint the battery again. If you have changed the total hard-on for PP and it is grey, it can easily be painted with paint. Rinse riser warm water, let it dry and start painting. Fleyts dip in paint and start painting the riser from top to bottom, leaving no gaps or streaks. Do not take a lot of paint on the brush, it will not speed up your work, often better dip it in the paint. Don't do broad strokes, it helps to paint the riser faster. For such work the paint or apply oil or latex. If the toilet or the bathroom pipes made of polypropylene, then paint them with paint in the wall color or tile. If the pipe is not visible, then leave them not painted, it's not scary. Metal pipe anticorrosive enamel paint. This paint combines a rust Converter, anticorrosive primer and durability of enamel. Prepare the pipe for painting: remove old paint, Proskura sandpaper dust. Mix the paint and start painting, remember, the pipe should be dry. Fleyts dip in the paint and smooth strokes to cover the surface as you wish. Try to keep the pipe was well coloured, and there was no place left for corrosion. Enamel apply 2 times, it will give the opportunity to paint the pipes more carefully.